Thank you for inventing Ugg boots. I have two pair. One that kept my feet warm but not so good in wet snowy weather and the other pair are the heavy duty water resistant ones that I’m making ample use of today since it is snowing like crazy here in New York City. They are expensive but worth the cost. 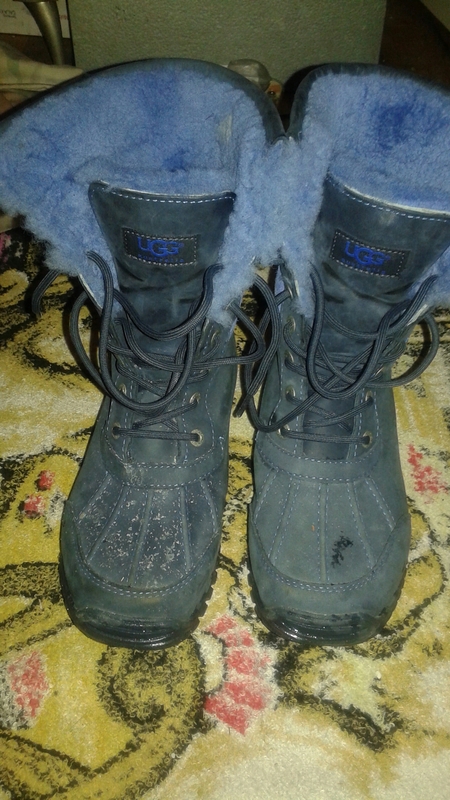 I’ve had mine for a couple of years and they are worth the overtime and extra money as they keep my feet dry and warm in these nasty NYC snowstorms. I was fortunate to get a discount as my girlfriend’s cousin worked for the Ugg Outlet/Warehouse so I did get a reduced price. She no longer works there so I got my Uggs right on time. And Yes Your Girl aka Your’s Truly was out there shoveling snow. One of my many and varied NYC survival skills. I probably have the best arm muscles and biceps during the winter! Not so good for my bad back! Ouch!! Anyway I employed the push the snow method as opposed to lifting and throwing. Snow like the MTA NYC Transit System gives you unwanted and unplanned for exercise!! LOL!! I know it is summer Down Under and I truly wish some of your warm weather could be transplanted to New York. I really despise snow but Hey it’s January. I live in New York and snow is what happens during New York winters. 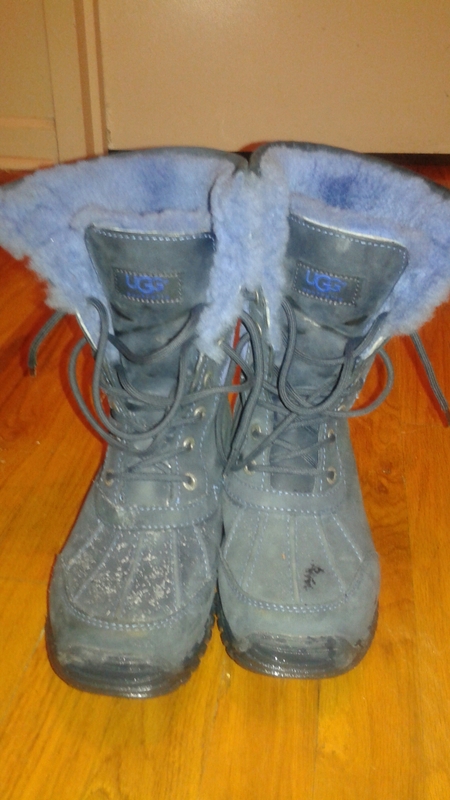 Here are my Warrior Ugg Boots!! In my weakness there is power. I am a Force to contend with. I will still be here after 1000 Goodbyes are said, after the brown earth is deposited on my lifeless form. After the Roses have lost their bloom yet serve as life giving compost for Natures scavenger beings. Poetess. Priestess and Village Seer. Smell the mint eucalyptus wafting from her hair. Residing in Nocturnal Hibernation waiting for my soul set itself Free. There is no present here. Climb along the fettered paths. Clashing symbols. Rattling tin horns. Stretching. Bending. Circumventing obstacle pathways. Zany Frenzies beat out twin rhythms. Come out from the Woodshed into Dwellings not made with human hands. I am just a Mystic wandering endless throughout strange and beautiful lands. Zenith to Nadir. Living becomes an exercise in Film Noir where crackling puzzle pieces formless blobs seeking unity. When I can no longer stand poesy and pictures come along side of me holding up my arms watching the enemies defeat. O’ this quizzical paradigm called Life Baptist my Words Great Goddess and allow me to find sanctuary within. Add to me synergy synapses via mind space. Words on scrolls. Symbols on stones. Graphed into eternal records. Cracked glass. Spider arteries. Still mirrors my fun-house reflection. I’m Still Here. Like the Sun and the Moon no matter what may befall me with the help of Friends and God I can weather the storm. I am Resilient!! !